German banking service provider figo has launched its new “Licence-as-a-Service” (LaaS) solution – RegShield – which will enable it to serve as a regulated partner for firms looking to offer or use payment initiation account information services (PSIP/AISP). This will allow figo’s partners to operate without having to apply for their own authorisation, reports David Penn at Finovate (FinTech Futures‘ sister company). Importantly, Schwertner added, PSD2 implementation is a challenge for both fintech start-ups and more established players. For newer companies, the process of securing a BaFin permit from the German regulator can challenge the financial resources of smaller firms. Larger companies, on the other hand, typically find it difficult to integrate their own processes with a changing regulatory environment. With RegShield, figo takes responsibility for “all relevant processes and licensing requirements,” giving third parties the ability to focus on developing their solutions rather than negotiating regulations. RegShield will provide for many of the authorisation requirements including PSD2-compliant customer processes and execution of internal audits to prepare for external examinations. 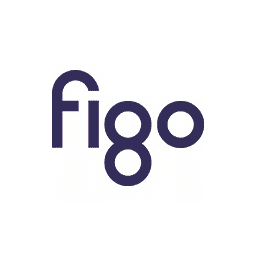 According to figo, its technology complements the rise of open banking by making it easier for third parties to access a wider range of financial resources, and enabling banks to develop value-added products and services for their customers. Last August, the company announced that Consorsbank would leverage its technology to power its multibanking service. Founded in 2012, figo has raised more than $12.5 million in funding and includes Berliner Volksbank Ventures and Deutsche Borse among its investors.